Enjoy the comfort and quiet in this country home which sits on over 3.5 acres. You'll appreciate the open floor plan w/ rustic knotty pine highlighting the ceiling & southern exposure adding brightness. The kitchen/dining are bright & comfortable & the cozy loft is great for another bedroom, office, craft room or storage. Well water but central weld tap an option. Detached 2-car carport, workshop, and chicken coop. Adjacent to pasture land & Highway 34. 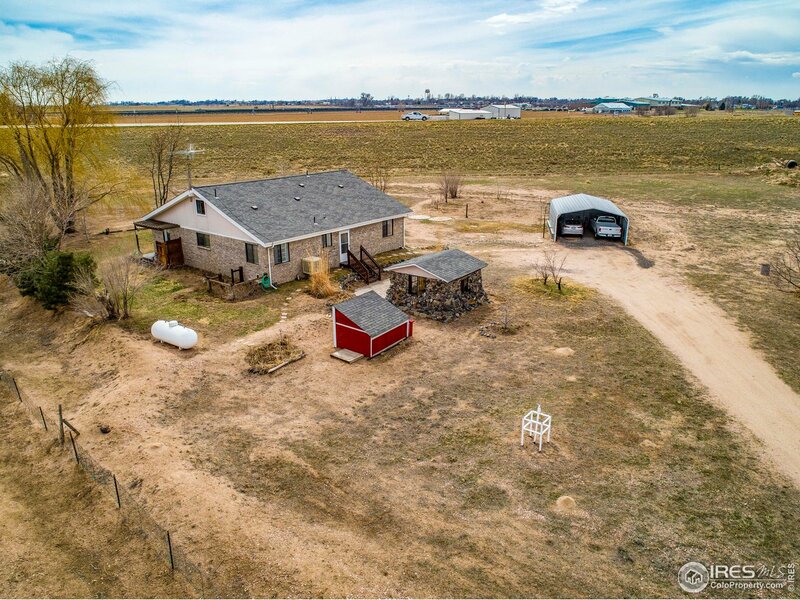 Close to town with country living!